One of he best decisions you can make while in school, besides learning, is to find a job. Although, your options are limited in regards to your time availability, there is always opportunities that might benefit you in the long run. You probably will not land your “dream job” while in college, but the experience and the insights gleamed from such occupations will definitely help your career post-college. Money and time can limit the jobs you should apply for. Start by creating a budget to determine how much money you realistically need to make to pay your expenses. Be conservative in your budget as unexpected expenses can often occur. 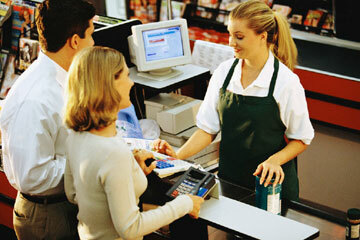 Set a goal for your required wage: (Ex. $12 per hour, 20 hours per week = $960 per month). Once you know how much money you need to make to live, calculate the number of hours you can spend each week on your job search. The more time you can allocate the better, but be realistic. Block off regular parts of your day to devote to your job search. Your personality and background will help determine where you will best fit and where you will be most successful. The Center for Career Connections provides assistance and resources to help you understand who you are and determine the types of settings in which you would best fit. What are your passions, interests, and values? What is exciting or meaningful to you? What are the knowledge, skills, and abilities that you have gained through work, internships, school, or volunteering? Take some time to think about the fields that interest you or fields in which you have experience. Based on who you are, what type of work do you want to do? One of the most important parts of a job search is creating a target for your job search. Often, job seekers are willing to take anything. However, employers want to hire individuals with specific interests and relevant skills. Target the jobs that you want and for which you are qualified. Create a target list of industries and companies that might match what you are seeking. Make sure that your list includes at least 10 companies and that no more than a third of them are large corporations (Ex. Microsoft, Boeing, Amazon, Google, Starbucks). Smaller companies are much more likely to interview you, and it is easier to speak with a hiring manager. It is ok to have more than one target. If your job search is not resulting in any job offers, you can change your focus to a new target. http://www.washjob.com This is a list of all the companies in the state of Washington. D&B Million Dollar Directory (available at the public library): The D&B directory has detailed information on over 1,600,000 North American organizations. Job searching is a research project. Once you have identified what your target is, spend time to research the companies and industry in which you are interested. Organizations want prospective employees to be prepared and to have done their homework on the company. Do as much research as you can in your job search. Research the companies on your list to be well prepared for networking and interviews. Before you launch your job search campaign, you need a good resume. In addition to your traditional resume, make sure any information about you online (Example: Facebook, Twitter, MySpace, LinkedIn, your blog, etc.) contains appropriate content in case an employer tries to learn about you. Tailor your resume to each specific job, and change it for every target. Highlight your accomplishments and achievements, not just your work duties. Edit your resume thoroughly and have someone else help you check grammar and spelling. The majority of jobs are not found online. These jobs are discovered through networking. Make a list of all your connections and contact the ones working in your field of interest. If you do not know anyone working in your field of interest, contact the people who may know someone in your field of interest (Example – Accounting: contact and meet with all the Accountants you know to get advice for your job search and learn about their company). After meeting with your contacts, ask for referrals to other people in your field. Carry your list of target companies with you and ask friends and connections if they can refer you to anybody who works at a company on your list. Nearly every field has a professional association or society with rich networking opportunities. They often offer discounted student memberships. Go to http://www.iloveseattle.org for a list of associations and societies in the Seattle area. Volunteering is a great way to meet potential employers, build new skills, and stay occupied. Go to http://www.idealist.org for a list of volunteer opportunities. 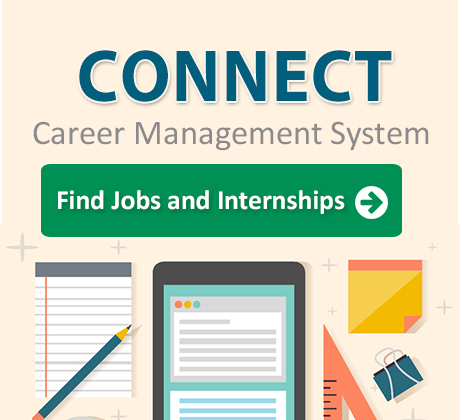 https://bellevue‐csm.symplicity.com/students/ – The Center for Career Connections at Bellevue College has a great job posting board called Connect! You can set up a “Search Agent” that will alert you to new job postings. http://twitter.com/BellevueCCC – Bellevue College also has a Twitter page with job‐search tips and articles. http://www.Indeed.com or http://www.simplyhired.com are meta‐search engines that “pull” jobs from all public job boards. Instead of going to Monster.com or CareerBuilder.com, use Indeed.com and SimplyHired.com, which pull from both. http://www.craigslist.org – Craigslist is a popular website for job searching. Once you find search criteria that pulls interesting jobs, look in the bottom right corner for an orange button that says “RSS feed”. Click on it to sign up for email updates on your searches. Google alerts: use Google alerts to get up‐to‐date news on companies on your target list.